Hang out with celebrity Anne Curtis. Enjoy fast paced Match 3 action, collect different outfits and show them off to your friends! Anne-saya! 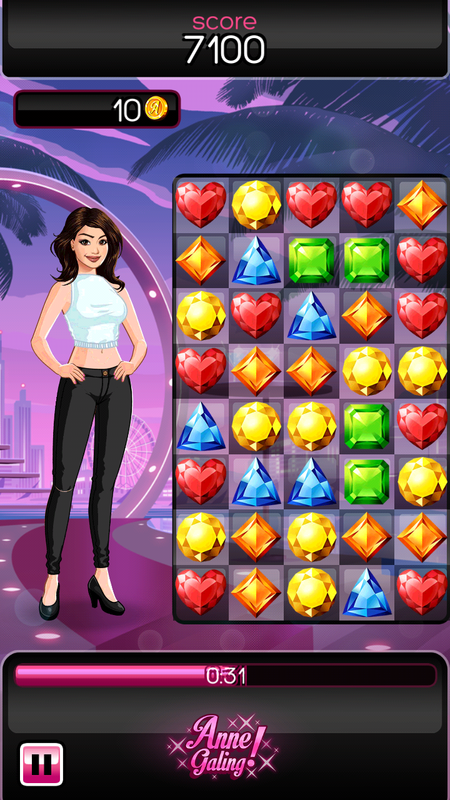 Match gems and aim for the highest score. Collect outfits and show them off! Choose from a wide variety of clothing items from the store, ranging from ball gowns to high heels and other trendy fashion accessories. Even more prizes await you! Collect mystery boxes for random rewards.